On the lookout for a summer home you can proudly call your own? Check out these new residential offerings for that quick, convenient weekend getaway. Ever fantasize about having a summer villa you can easily escape to with your best girls in tow? We may have found the next best thing--and you won't even have to travel far to get there! SM Residences has developed three new offerings that will make you feel like you're on vacation even while in your own home. 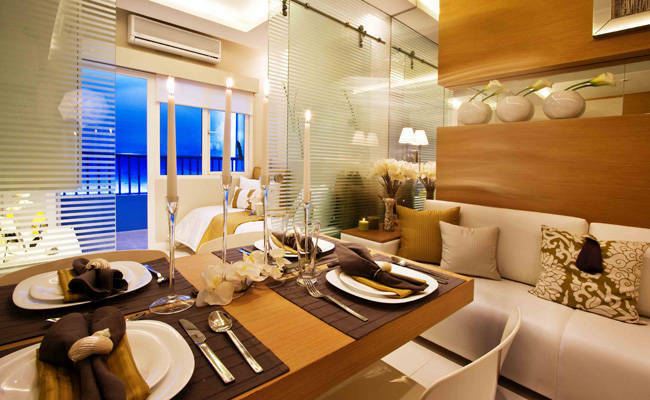 If you're a laidback chick who digs the fresh breeze and sunsets that Manila Bay offers, the Sea Residences could be for you. Located in the heart of the Mall of Asia Complex, this sanctuary merges contemporary design with comfortable home furnishings and community facilities. It's the perfect quiet haven to escape to after a long day. If you're more of a beach babe, you should check out the Shell Residences, located just behind the Sea Residences. At Shell Residences, you'll have access to leisure facilities such as an elegant clubhouse, multiple swimming pools, and a jogging trail to keep you in shape. It's a year-round summer haven, conveniently located next to prime retail, dining, and entertainment spots. If you're the type of girl who digs the highland getaways Tagaytay offers, the Wind Residences down south are a good option. It takes all the hassle out of weekend roadtrips, and offers a breathtaking viewof the Taal Lake. Plus, it's just minutes away from the popular tourist attractions, making it an ideal place to stay during weekends with the barkada. With the sports and fitness facilities available, you can keep your bikini booty primed for upcoming beach trips! SM Residences are available in studio, one-bedroom, and two-bedroom units with flexible payment schemes. For inquiries, call 858-0300 or 0917-5005151, or email inquiries@smresidence.com.